If you like America’s Got Talent or Little Big Shots, you will LOVE the 3rd annual Youth Arts Celebration! Prepare to be astonished by this dynamic talent showcase featuring the best of Treasure Coast student performers of all kinds, benefiting The Lyric Theatre’s Arts & Education Programs. Student entertainers, grades 12 and under, will take to The Lyric stage to perform in a fast-paced, talent packed show with something for everyone. Last season’s event was wildly successful, presenting 20 amazing performances by 64 emerging young artists, and raised more than $30,000.00 in funds earmarked for The Lyric Theatre’s Arts & Education Programs. 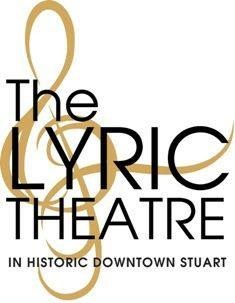 The Lyric League, an auxiliary board of The Lyric, enlisted the help of area arts educators, music teachers, choral directors, dance schools, public and private schools and other community arts organizations to spread the word of this exciting new endeavor. More than 120 youth from across the Treasure Coast auditioned before a panel of judges for a coveted spot in the Celebration. The Youth Arts Celebration is not a contest, but rather an opportunity to recognize these students for their commitment to their craft, the courage to express themselves and their love of the arts. The Youth Arts Celebration participants may be diverse in their talents, but all are united by their love of performing, and while not all of the participants have aspirations of performing professionally, they are clearly benefiting from their arts education, demonstrating kind, positive, respectful, focused behavior and support for one another; yet another example of how arts education instills discipline and values so vital to becoming a quality human being. The parents and educators deserve equal credit, as there is no denying the level of commitment these families have made to their children. The Youth Arts Celebration is presented by The Lyric League, comprised of Co-Chairs, Janice Binger and Niki Norton, Scott Eves, Cathy Flanigan, Sharon Holt, Sheila Kurtz, Colleen Schramm and Linda Weiksnar. The League’s focus is to raise funds to expand The Lyric Theatre Arts & Education Programs affording Treasure Coast youth even more educational opportunities for cultural enrichment such as professional artist master classes and residencies in area schools, The Discovery Series for Young Audiences, Lyric’s AWESOME! Summer Camp and wholesome, quality family programming. MAKE A DIFFERENCE IN YOUNG LIVES ~ BECOME A SPONSOR!